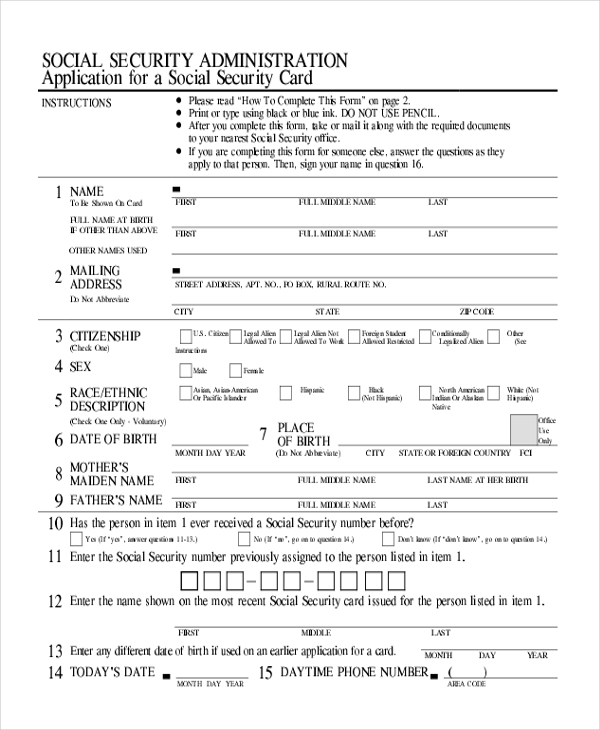 Social security application forms are forms that are filled in to avail the social and financial benefits from the government or any other authorities due to problems like old age, serious health issues, disability problems, etc that make you incapable of earn when compared to a normal individual. 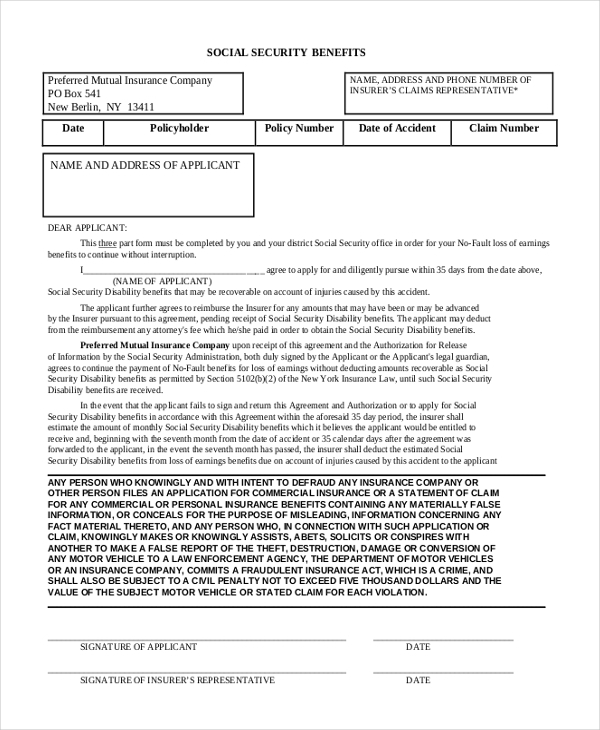 There are various types of Application Forms like social security disability application form, social security retirement application form, social security card application form, social security tribunal application, and social security medicare application form, social security disability application form for children and application for the social security agreement. 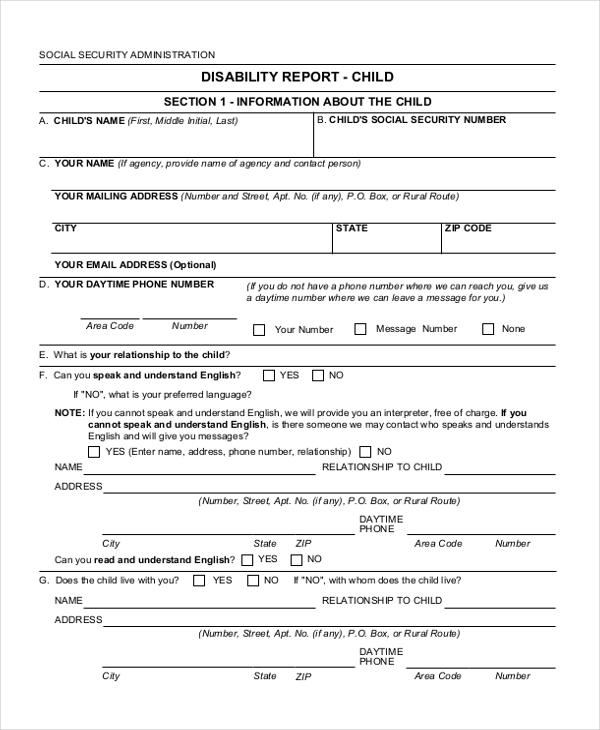 Social security disability application form is filled by the disable people to get benefits from the government. The forms expect you to fill basic personal details of the applicant, information about his family, details of any benefits getting from other agencies, education and training, work history, information about the health, information about the physician and the hospital banking information and declaration. You can also see Social Security Disability Forms. Social security retirement application form is filled by people who want benefits from the government or any authorities after an individual attain the age of retirement or after his retirement. 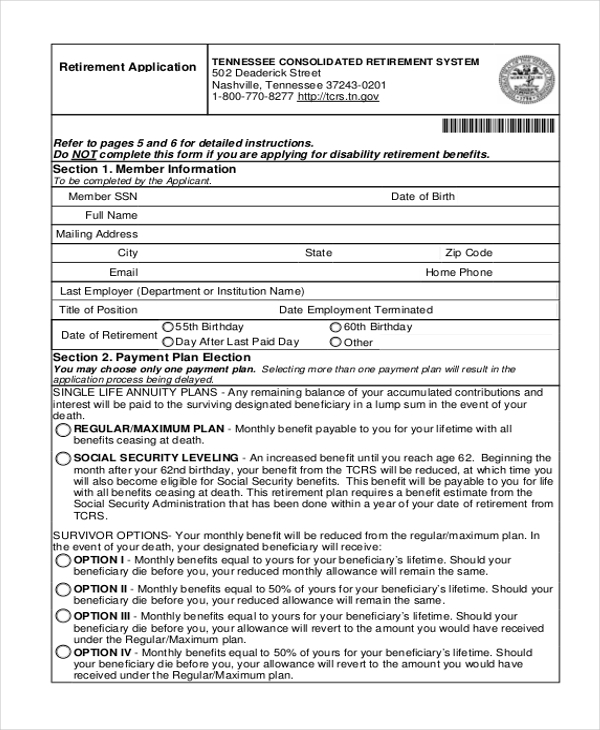 The form needs to be filled with the details of the individual, payment plan election, beneficiary information, signature, mode of payment, and signature. 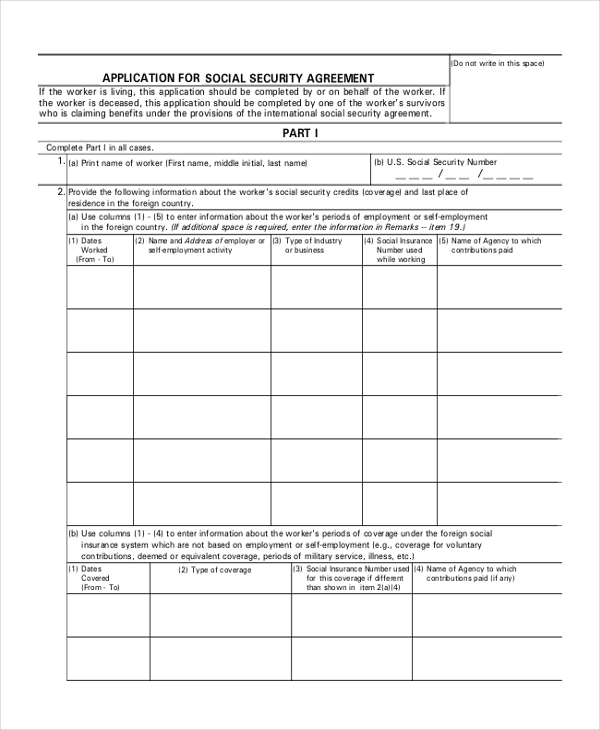 Social security card application form can be filled by the American citizens to get a nine digit number that allows the authorities to track an individual’s accounts within the boundary of the social security program. The card acts as a proof that you are the citizen of America. You may also see Disability Allowance Application Forms. 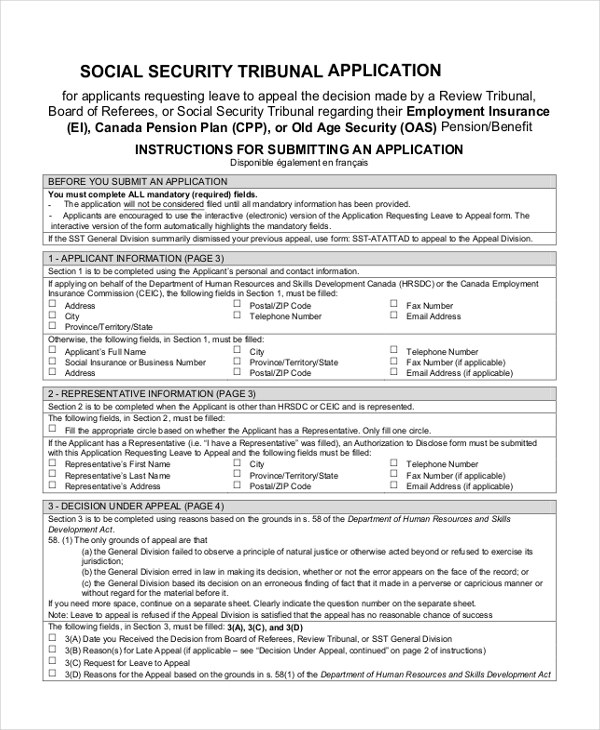 Social security tribunal application filled to request leave to reverse the decision of the Social Security Tribunal (SST) regarding pension plan and benefits, employment insurance and old age security plans. The application needs to be filled with personal details, representative information, a photograph of the applicant, details regarding the appeal, signature and declaration. 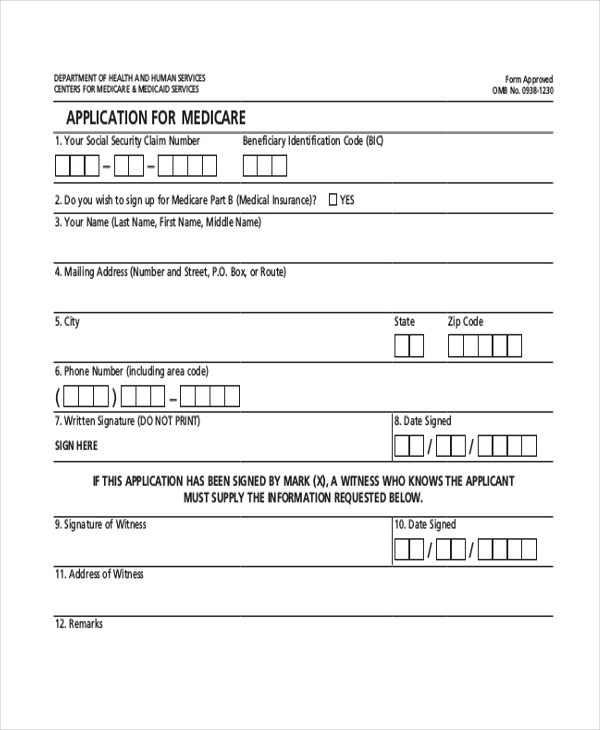 Social security medicare application form is filled by people who are of the age or above to avail the benefits of medicare, a health insurance program in America. In order to apply to this program, you need to issue social security claim number, basic information about you, employment information through this form. Social security disability application form for children should be filled to avail benefits for children suffering from a disability. Every field in the application form should be compulsorily filled. The application form expects an individual to disclose personal details, problem that he is suffering and the details about the doctor, treatment, and the hospital. You can also see Disability Application Forms. Application for social security agreement is filled by the workers who wants benefits from the provision of the international social security agreement. The application should be compulsorily filled by the worker if he is alive or the worker’s survivors on behalf of him if he is deceased. 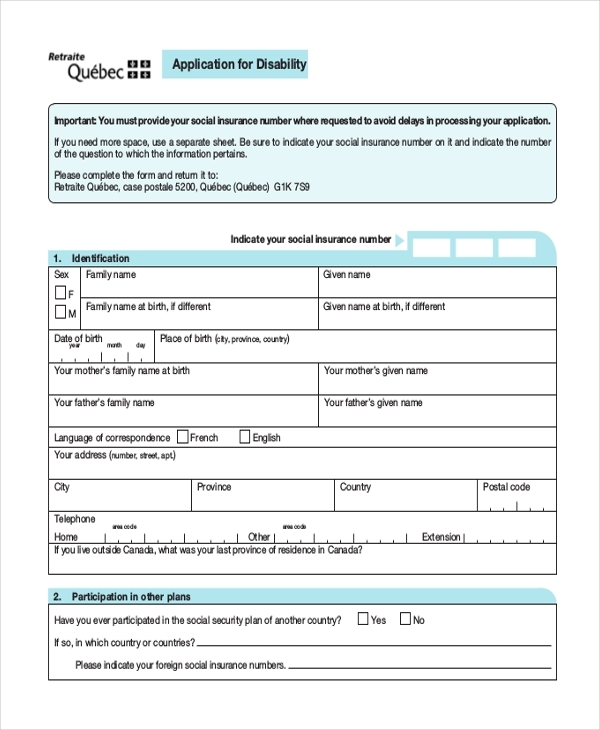 The form orders the applicant to disclose his/her personal information, social insurance number, mode of payment, and area under which the benefits are claimed. Social security benefits application is filled by people who desire to avail the benefits of various social insurance programs. An individual has to fill in the details of himself, his representatives; acceptance of few conditions stated under that particular program and signs the application form. What is The Use of Social Security Application Form? The usage of the social security application form is that it allows you to claim benefits from the government or any institutions that are governed by the American laws. The main intention of these forms and organizations is to provide help for people who cannot lead a normal life due to health issues and old age problems. The social security application form is the first formal step to reach out the government or institutions to ask for financial and other kinds of help in order to lead the life. You may also see Old Navy Application Forms. The target audience includes the people suffering from physical as well as mental disability problems. The benefits can be availed only after the individual is proved that he/she is suffering from a disability. The other category of people who can use social security application forms are people who have attained retirement and people who have crossed the age of 65. By applying through these forms old people can avail pension and other benefits. Social workers who have suffered a loss during the time of working and children suffering from various serious health problems can also apply through these forms. You can also see Passport Application Forms. What are the Benefits of Social Security Application Form? The benefits of social security application forms are numerous. These forms help the weak people to lead their life. By filling social security application forms the eligible people can get financial assistance and other social benefits. The benefits provided under various schemes can be availed very easily by filling these forms. Also, these application forms motivate and act as an instrument of enthusiasm and hope in the life of many helpless people. It acts as an identity for the eligible candidates. These forms bridge the gap between the government, institutions and the people who require genuine help. You may also see Citizenship Application Forms. In crisp, social security application forms are filled by people who are eligible to claim benefits of various social schemes and programs that help in uplifting their lives. There are various categories of social security application forms that demand to disclose various information. Medical application forms are also a type of social security application forms that help in getting benefits related to various medical treatments for the needy.